The District of North Vancouver already has two breweries so it was time for the City of North Vancouver to get a brewery to call their own. Steps in Green Leaf Brewing Co to fill this void. Located in the Lonsdale Quay facing the water and steps for the Sea Bus Terminal you could not ask for a better location. 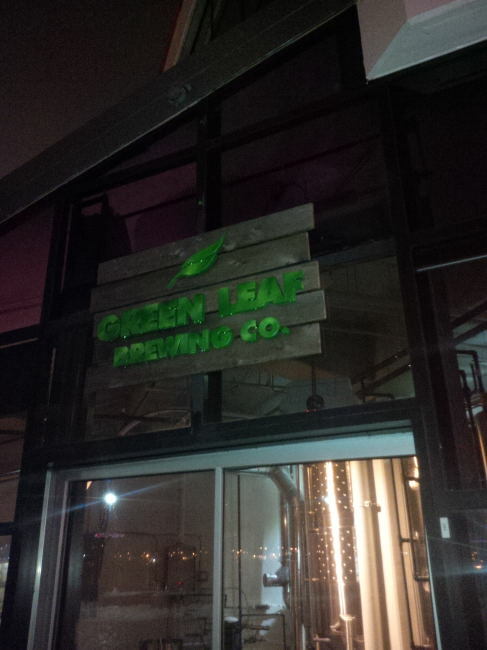 Today (December 20th, 2013) was the grand opening of the brewery. Almost a soft opening as there was not very much press on the opening. For the opening they had two beers on tap one was a pale ale and one a stout (reviews to comes soon!). The Founder Martin Ebadi and Brewmaser Tim Kramer plus the staff they had on at the opening were all super friendly and had the beer pouring in short order. Currently they can only serve one 12oz glass of beer per person per day but they have applied for a lounge license so things will change. The brewery fills both one and two liter growlers off their taps. So head out and check out this new exciting brewery. Make sure to have a growler or two with you next time you take the sea bus or you go to Lonsdale Quay! 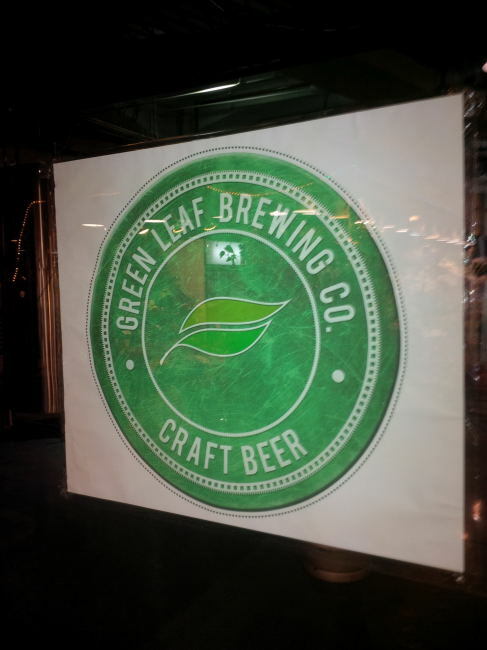 This entry was posted in Brewery and tagged beer, brewery, green leaf brewing co, north van, north vancouver.